Anthony Kleem is an American artist known for his artful storytelling of the primitive style. 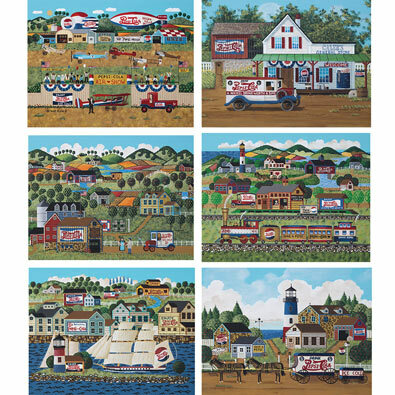 His art has impressions of a bygone era of wholesomeness, warmth, and old-fashioned values. Each 550 piece puzzle measures 18" x 24".